Magazyn S&T numer 316 plus gra Campaigns of 1777 – wojna o niepodległość w Ameryce, Patrioci kontra Brytyjczycy w koloniach północnych, krytyczny rok rewolucji. 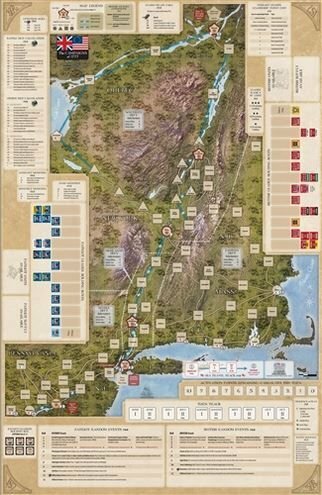 Campaigns of 1777 is a two-player, point to point wargame in which you command the Patriots or the British in the northern Colonies during 1777, the critical year in the American War for Independence. The tone for the British was set by leaders like Howe, Burgoyne, Cornwallis and Clinton while the Patriots marched with leaders like Washington, Greene, Arnold, Schuyler and Gates. The Battles fought in the northern Colonies include the Sieges of Fort Ticonderoga and Fort Stanwix, the battles of Brandywine, Germantown and Saratoga as well as the surrender of Burgoyne’s army at Saratoga. 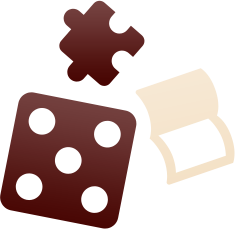 The objective of the British player is to control certain spaces in order to fulfill their Victory Conditions. 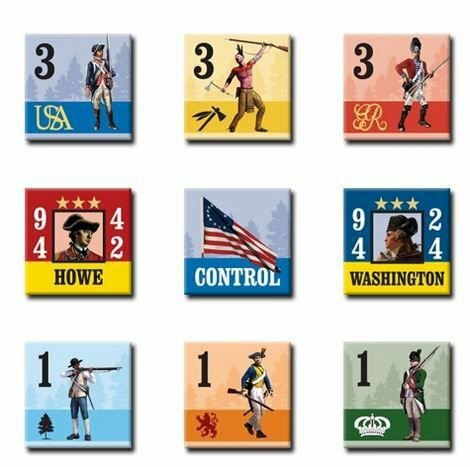 The Patriot player’s objective is simply to prevent the British Victory. One inch on the map represents about 20 miles. Each Strength Point (SP) represents an understrength regiment of roughly 300 to 500 men. Each game turn represents one to three weeks. 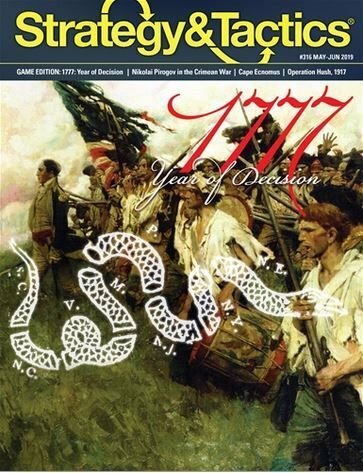 Note: 1777: Year of Decision was printed on the cover of the magazine but that was an error as the correct title is Campaigns of 1777 as shown on the map & rules.